Elderberries are highly ornamental shrubs that produce tasty berries in late summer and early fall. Most are grown in the landscape but growing elderberries in containers is possible. 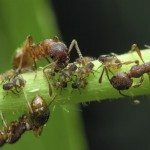 This article explains how to care for container-grown elderberry bushes. 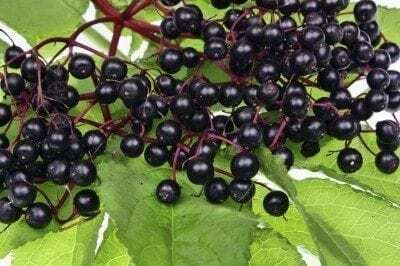 Can You Grow an Elderberry in a Pot? In the ground, elderberry bushes grow into dense masses similar to a thicket, and over time they spread to cover a wide area. While they aren’t a good choice for a small balcony or patio, you can grow elderberries as a potted plant if you have a large container and plenty of room. 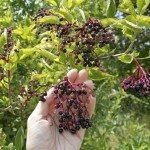 Elderberry shrubs in containers have confined roots so the plants won’t grow as large as they would in the ground, but they will need severe pruning in the spring to help control the size and keep the canes productive. The American elder (Sambucus canadensis) is one of the few fruit-bearing shrubs that produce well in shade. Native to eastern North America, it is an excellent choice for gardeners who want to attract wildlife. Some varieties grow up to 12 feet tall, but the shorter types that grow no more than 4 feet high are best for containers. Choose a large pot with several drainage holes in the bottom. Fill the pot with potting soil that is rich in organic matter. Elderberries need a lot of moisture and won’t survive if you allow the soil to dry out. Large pots and organically rich potting mix can cut down on the amount of time you spend watering the plant. Container-grown elderberries need severe pruning every year in late winter or early spring to keep them from outgrowing their pots. Remove canes that droop down to the ground, broken or damaged canes, and those that cross each other so that they rub together. Remove the canes by cutting them off at soil level. In their first year, elderberry canes produce a light crop of fruit. Second-year canes produce a heavy crop, and they decline in their third year. Remove all of the third-year canes and enough first and second year canes to leave a total of about five canes in the pot. Late winter or early spring is also the best time to fertilize elderberries in pots. Choose a slow-release fertilizer with an analysis of 8-8-8 or 10-10-10 and follow the instructions for containerized plants. Take care not to damage the roots near the surface when mixing the fertilizer into the soil.